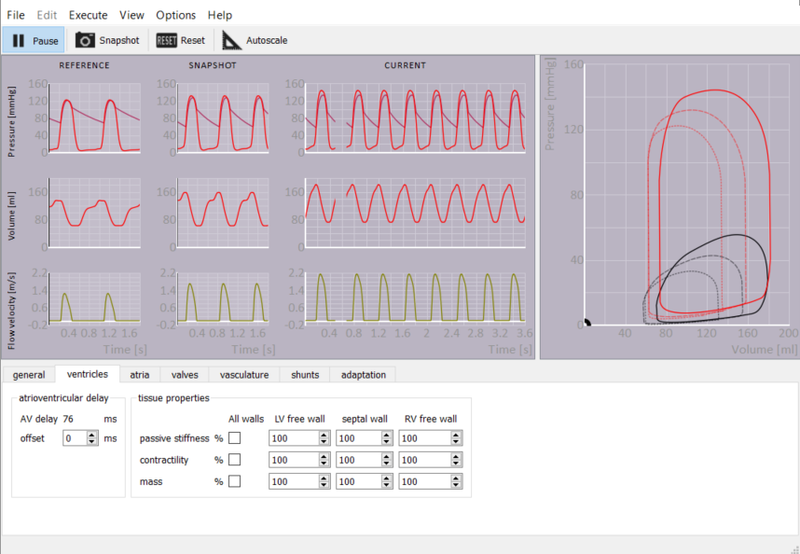 CircAdapt is an interactive tool for the education of the cardiovascular system. It enables real-time simulation of hemodynamic signals such as blood pressures, volumes, and flows in heart and circulation on a beat-to-beat basis. 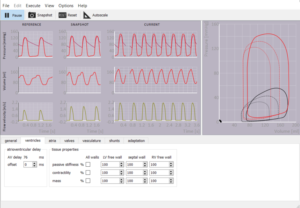 CircAdapt is meant to be used by medical students or health care workers to improve their understanding of cardiovascular hemodynamics and related physiology. By manipulating the diameter and/or leakage of heart valves, contractility and/or stiffness of cardiac walls, stiffness of arteries or by the creation of shunts the user is able to create real life pathological situations. A wide selection of, clinical relevant, hemodynamic signals, like blood flow velocity, cardiac cavity volume or blood pressure, can be displayed to show resulting effects. CircAdapt can be downloaded free of charge from website CircAdapt.